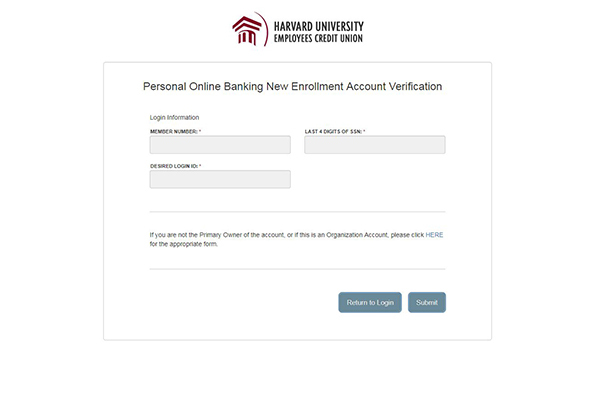 Follow these steps to access Online Banking for the first time. Click the Login button located at the top of this page. Click the Setup Your Online Access link located within the Login box. To move forward with the enrollment process, you’ll need to enter your member number. If your membership was opened in a branch, the number would have been provided then. If you opened online, you should have received an email notifying you that a secure message was available. You can retrieve your member number at any time by following the link in that email. Having trouble locating your number? No worries! Give us a call at 617-495-4460 and in most cases we can provide it over the phone. Next, type in the last 4 digitals of your SSN and your desired login ID. Then click, Submit. In order to verify your identity, we need to send you a temporary secure access code. Choose the method by which you want to receive the code. 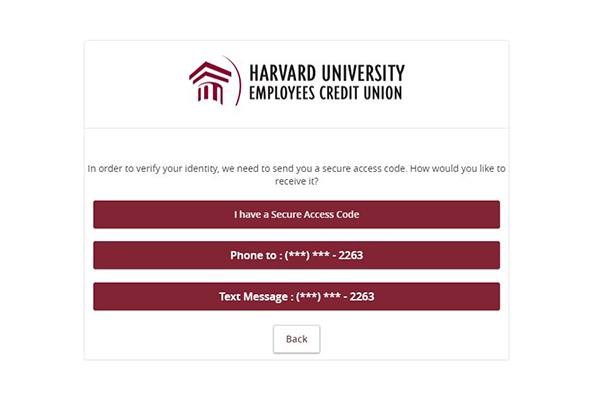 Based on your choice, you will receive a text or phone call to the number you provided when opening your account. NOTE: If all of the contact information we have on file is inaccurate or out-of-date, you cannot proceed any further. Give us a call at 617-495-4460 to provide your updated information. Phone Delivery: If you select phone delivery of your temporary code, answer the phone normally when the call arrives. You will be prompted to make a selection to hear your code, and the system will give you the option to repeat the code, if necessary. Our system will not leave a code on voice mail, so if you miss the call, just repeat the process. SMS (Text) Delivery: If you select the text message delivery of your temporary code, you will receive a message containing the requested code. Standard text message fees apply. Enter the temporary code you received and click Submit. NOTE: Do not navigate away from the screen. If you need to access a web mail account to retrieve your code, open a new browser window or browser tab. 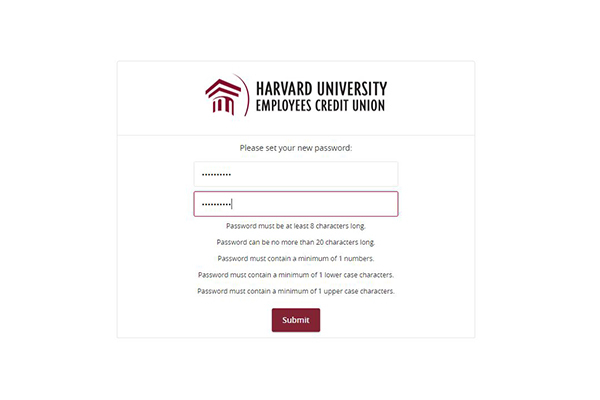 Enter your preferred password and make sure it follows all the guidelines listed on the screen. Click Submit. Make sure that the information displayed in this screen is accurate and up to date. If anything is not correct, please give us a call at 617-495-4460. 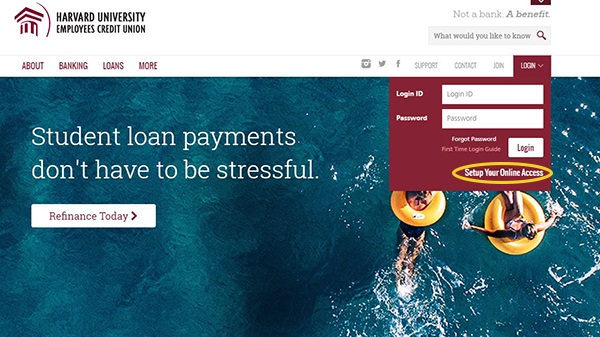 Agree to our Online Banking disclosures by clicking I Accept at the bottom of the page. 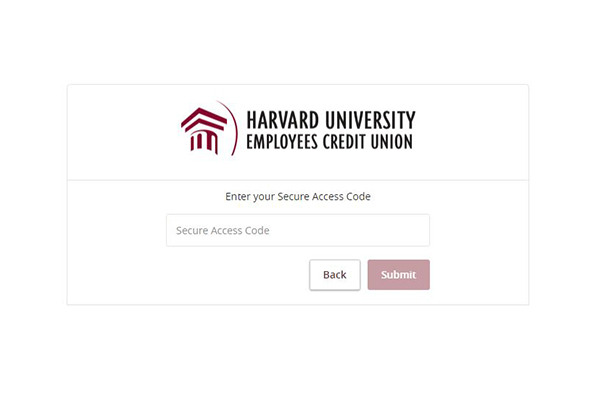 In order to not have to request a temporary security access code every time you login from your device, click Register Device. If you are logging in from a public device, you should click Do Not Register Device. 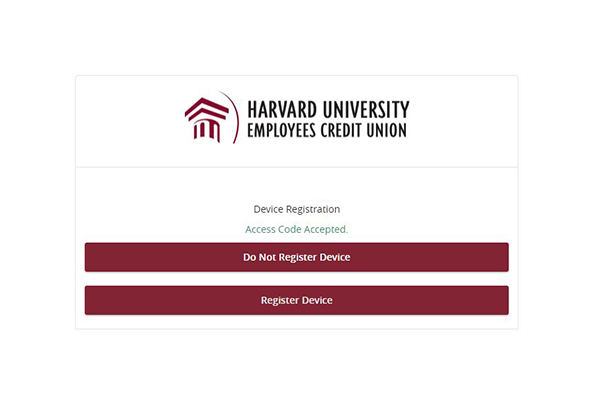 Please note, for security purposes each time you attempt to login to Online Banking for the first time from a different, unregistered device, a secure access code will be required. You will be prompted to repeat Steps 4 and 5 to access your account from the unregistered device. Make sure to click Register Device if it is a trusted device and not a public one so you can save time each time you login. 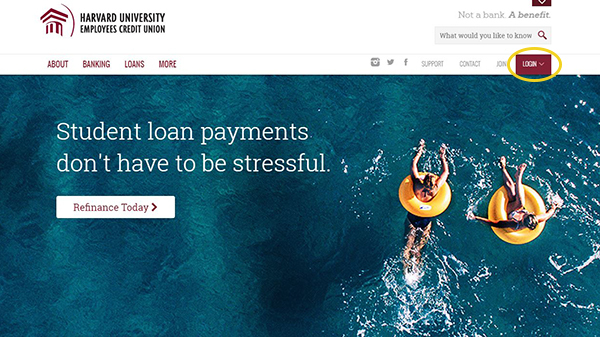 If you are having any problems with Online Banking, we are here to help! 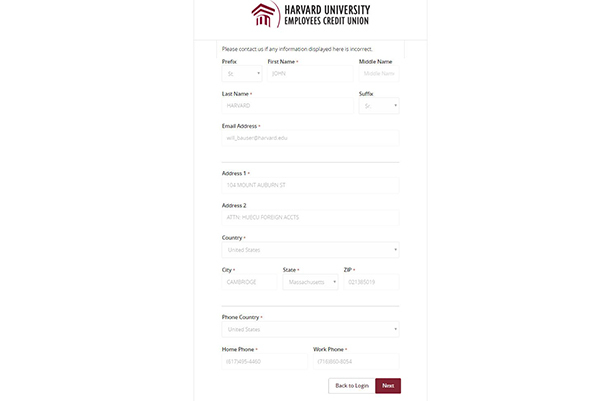 Contact our Support Team at 617-495-4460 or huecu@harvard.edu.